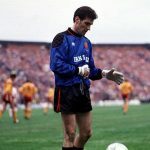 Sparra is joined by Motherwell F.C. chief executive Alan Burrows for a special edition of the MFC Podcast. A wide range of topics are covered during the hour long show including the summer transfer window, the highs and lows of last season, Alan’s desire for continual improvement at the club, his current opinion on Project Brave and much, much more. With the 2018-19 season firmly on the horizon, Sparra is joined by Graham Barnstaple and Andrew Paterson to look ahead to what the campaign will bring, transfer activity in and out, preview the upcoming Betfred League Cup fixtures and much more. 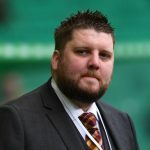 As we continue the build up to the Scottish Cup final, 1991 hero Ally Maxwell joins Sparra to countdown to the big day, look back on the season so far, discuss his involvement with the Well Society’s Exiles Club, look ahead to the Scottish Premiership fixture with Hamilton and much more. 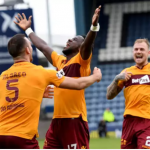 Sparra, Busta and Jay look back on the meetings with Dundee and Hibernian, give further reaction on the fall-out from the Betfred League Cup semi-final victory, discuss a new deal for assistant boss Keith Lasley, preview the trip to Ross County and more.